For many years “protein” has been an important buzz word in the world of bodybuilding, however mainstream culture is finally paying attention. And here are 12 reasons to help explain why you want to add more quality protein into your daily life. Whether you are looking to become more toned, loss weight, have more quality sleep or increase you brain power… the amino acids in protein are the building blocks to help you achieve your goals. Remember, the main component of the muscles in your body is protein. If you exercise, you break down muscle, so when it grows back, it grows back stronger. For many, after exercise, you feel weaker. However with the correct protein you can workout, regenerate and STRENGTHEN!. Consuming extra protein assures you that your workout builds you up, not burns you out! 2. Look and Feel Younger! Adding more protein into your diet builds more protein substances like Collagen, Elastin and Keratin. These proteins make your face look younger, smoother and less wrinkled. They also keep your muscles more elastic, which is why it’s called Elastin. Keeping your muscles more elastic helps you move your body with more ease, feel better and have less pain, whether you do heavy workouts or just walk. Keratin also helps you build thicker, stronger hair and stronger nails. Power Protein Plus, will help you to build more muscle, burn extra fat, curb your appetite and look and feel as young as you can. 3. Money Can’t Buy You Happiness, but More Protein Can! 4. Feel Full, Be Less Hungry, Burn More Fat! 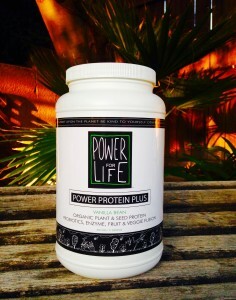 Finally, a great benefit to taking our Power Protein Plus is that it lowers your levels of the hormone, Ghrelin. This hormone in your stomach tells your brain you’re hungry and to eat more food. Protein (specifically Pea Protein) slows the release of the hormone Ghrelin, making your brain think you’re full longer. So, you are less hungry and naturally eat less. Protein also helps you become more efficient at burning excess fat. And of course, by helping you build more muscle, this helps burn more fat too. Numerous studies have also proven that consuming Pea Protein keeps your blood sugar levels normal. 5. Better Protein, with none of the negatives! The Brown Rice and Green Pea Protein Blend in Power Protein Plus has a perfect and balanced blend of amino acids. It is superior to dairy and egg proteins. Brown Rice protein is high in the sulfur-containing amino acids, Cysteine and Methionine, but low in Lysine. Green Pea protein, on the other hand, is high in Lysine, but low in Cysteine and Methionine. When you add the amazing super-amino acid, protein-rich Pumpkin Seed, Hemp, Flax and Chia Seed protein, the amino acid protein balance is not just comparable to dairy or egg proteins, it is far superior! All this without the potential for allergies, gas or intestinal issues that some users have with Whey, Casein and Soy Proteins. A protein is a nutritional substance made up of several amino acids, scientifically called a “large bio-molecule”or “macro-molecule”. There are hundreds of different amino acids in nature, but only about 20 are talked about.Of these 20, nine of them are considered essential, (like vitamins). This means your body can’t make them, so you MUST consume them every single day or your body will age faster, look old, and get weak or sick. Protein is needed to build strong muscles. Proteins are the second largest component of your body’s muscles and cells, right after water. Proteins such as Collagen and Elastin are critical components of connective tissue, and having more Collagen and Elastin makes you look younger, feel younger, feel stronger and be more flexible. Keratin (another protein) is necessary for building strong, thick hair and nails. So protein keeps you looking and feeling good. Your body also needs the amino acids that make up protein as powerful neurotransmitters. It’s the fuel for your nervous system, and the fuel to build Serotonin, Dopamine and numerous other brain chemicals that help to regulate emotions (especially in your pleasure centers) to fight depression. 10. Why Do You Need Protein EVERY DAY? A metabolic process called “Protein Turnover” means that once protein is eaten and assimilated into your body, it can only exist for a short period of time. On average, only ONE DAY. So, you need to keep ingesting protein every day, because your body needs it to build and repair muscle and keep you looking and feeling young. 11. Don’t I Get Enough Protein from Food? Yes…and no. The average American’s food program, even a healthy one, provides enough nutrition and protein to stay alive. But, to meet the demands of a physically and/or emotionally challenging life, even a good food program doesn’t hold up. Superior nutrition is what gives every cell in your body the fuel it needs to get and stay healthy, and stay disease-free. And, if you want to build a strong body that gets stronger and helps you meet or even exceed the demands you put on it, then a healthy reserve savings account of nutrition and protein is essential! 12. What’s wrong with WHEY and CASEIN PROTEIN? WHEY is a waste by-product of cheese manufacturing. It is the thin liquid that drains off the cheese. I call it “Liquid Meat”. It is dried and then concentrated, because it is less than 1% protein. CASEIN is also a by-product of cheese manufacturing, and is mainly used in making glue, paint and plastic. It is made using genetically-modified organisms (GMOs), and after you eat it, it forms a clot in your stomach which slows its absorption. 13. What About Soy Protein Isolate? Soybeans have been a food source for thousands of years. But today, 94% of soy grown in the USA is genetically-modified. Soy Protein ISOLATE is so far removed from the soybean that Wellness Today calls it, “soy’s heavily processed stepchild” and says you should avoid eating it all together. It is so highly processed and refined most health authorities consider it toxic. Just Google “problems with Soy Protein Isolate” and within 5 minutes of reading about the chemicals involved, the GMOs, and the aluminum tanks, you’ll probably throw your old Soy protein powder out immediately. You have only one body, one mind, one spirit ….they are your precious treasures. True health wealth depends on you being proactive with daily preventive self care for you and your family. 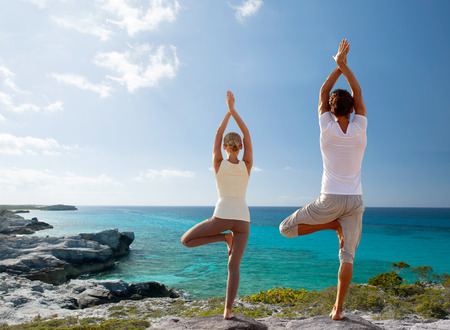 Terraoceana is here to assist you and your loved ones achieve vibrant well being! We invite you to add our Power Protein Plus to your daily nutritional program and feel an improved level of health wealth today!